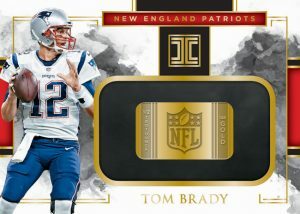 This Break Qualifies for the NFL Shield Bounty Promo! If your team hits a Full Size Shield in this case break you will win the bounty reward of Firehand Points. 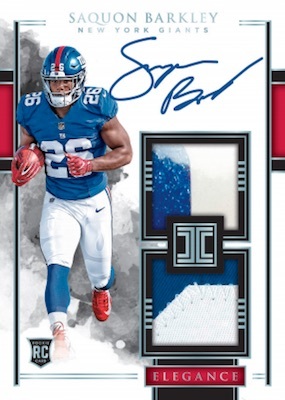 If there is no Shield pulled in this break the bounty will increase by $50 for the next NFL Shield Promo break. 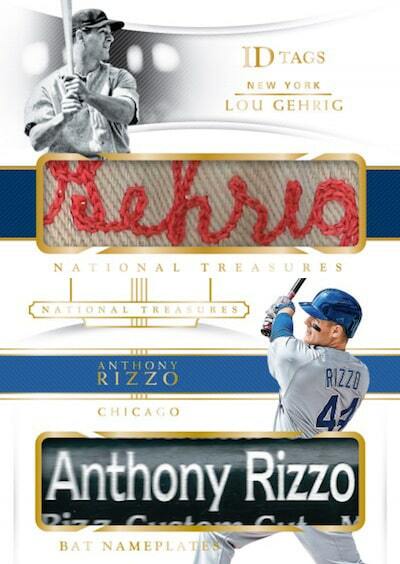 – Pull five autographs, including at least one Rookie Patch Autograph, per box, on average! All patch autographs are #’d/75 or less! 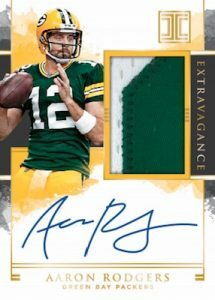 – Look for unique Elegance Rookie Patch Autographs, featuring Helmet pieces, Nameplates, Gloves and NFL Shields! 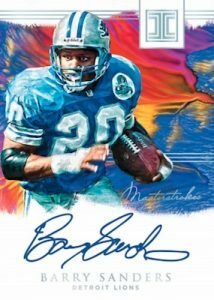 – Pick up stunning patch autographs from the NFL’s best veterans and legends! – Find one Silver or Gold piece insert per case, on average! – New for 2018: Extravagance Patch Autos, Masterstrokes, Jersey Patches, Silver Super Bowls, Silver 49ers and Silver Broncos!